Finding trustworthy child care providers is a task most parents of toddlers are faced with at some point or other. It may hard to think of leaving your precious son and daughter with just anyone- but Grandma, wonderful as she is, is not always available to babysit. When you’re forced to go outside your tight circle of family and close friends to find childcare providers, what do you do? The key here is research, research, and more research. Don’t go with half-measures in vetting your child’s potential care providers; you need to be absolutely sure that this is a person or daycare that you can feel comfortable leaving your child with. 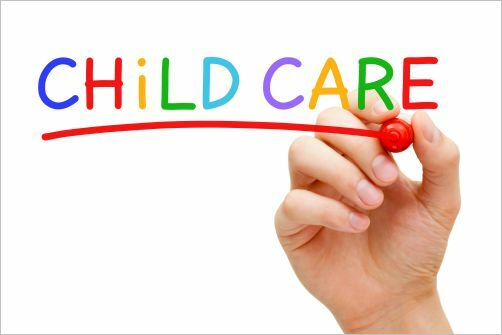 When deciding on child care providers for your child you’ll have to make a decision as to whether to enroll your child in group care or whether to go with someone who will be watching just him: a babysitter, nanny, or au pair. •	Most group care facilities involve multiple caretakers, so you don’t have to worry about your child care provider cancelling on you or calling in sick. •	Your child gets to stay at home, play with his own toys, and have naptime on his own bed. Group care situations include daycare (usually 12 or more children and several caretakers in a childcare facility) and in-family care (2-10 children in a family home). In family care provides a smaller, more intimate setting for your child and may be cheaper, but in-home daycares are not licensed as strictly as child care centers are and all the individuals in contact with your child may not have background checks. Individual child care providers babysitters, nannies (full time or part time) or au pairs. •	What is the adult to child ratio? •	How many children are in each group? •	What is the daily schedule? •	What is the parent drop-in policy? •	What is the staff turnover? •	What are the staff’s credentials? •	Does the child care center have any special accreditation? •	Are the individual care providers in the family care center licensed for child care, and can you see the background checks? Ideally you want a high adult to child ratio and a small group size. You want a daily schedule similar to the one your toddler is in at home, and you want parent drop-ins to be encouraged. In fact, a rule against parent drop-in visits should raise red flags in you mind right away, and is enough to cross a care center off your list. You want a place with low staff turnover; it will be hard on your child if his favorite person leaves after a few weeks. Degrees in early childhood education are nice, as are accreditations from respected child care organizations. And it’s very important that the people who will be around your child in a family care setting have submitted to background checks and been properly licensed. 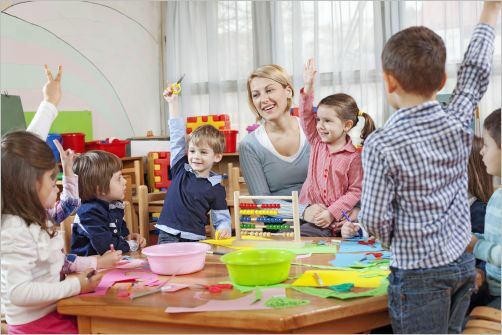 On your visit to the child care facility or family care center you’ll want to pay attention to what the facility looks like, whether or not they have the resources you want for your child, how happy other children look and what the adult-child interaction is like. •	What is her philosophy of taking care of children? •	Does she have CPR training? •	Does she have any early childhood education or child care certification? •	Can you see her background check/ childcare license? •	Why is she doing child care? •	What does she find most difficult about child care? •	Is she licensed to drive—and comfortable driving? •	Can she cook for your child when taking care of him? Pay attention to how the potential child care providers interacts with your child, and how your child interacts with the care provider. For more information on vetting a babysitter or nanny, please read our page on babysitters.